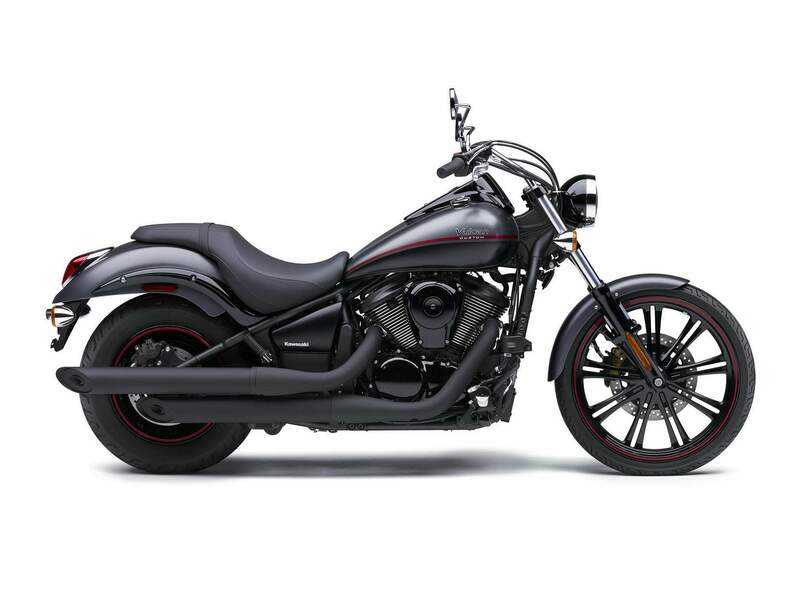 The Vulcan 900 Custom packs a fuel-injected 903cc V-twin for roll-on acceleration that will surprise folks on larger motorcycles. Carrying this easy to manage engine is a chassis that facilitates nimble handling which would put heavyweight cruisers to shame. 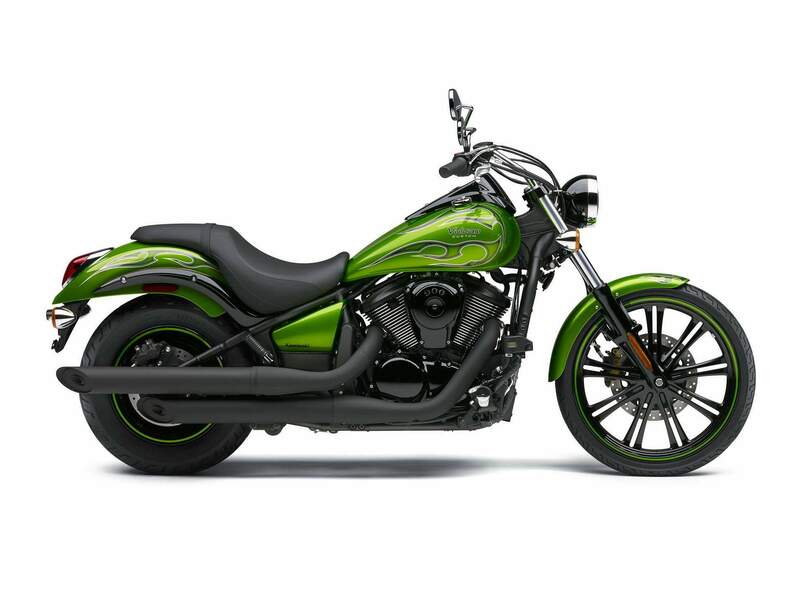 So, while your friends admire the Custom’s looks, you can smile with the knowledge that its appearance is merely the wrapper on Kawasaki’s expert engineering, long-term dependability and satisfying performance. Vulcan 900 Custom’s unique, edgy design shows it can stand out from the cruising crowd. Kawasaki engineers and designers concentrated on delivering a motorcycle with a customized appearance typically found only on hand-made one of a kind customs. A massive rear tire, light-looking front end accentuated by a thin 21-inch cast wheel, and sculpted bodywork top the stand-out features of the Vulcan 900 Custom.